Today’s marketing options are not a choice of few. That was 50 years ago. Today, the marketing opportunities resembles dining in New York City instead of a one horse town. It means you have to make more decisions. This spells confusion, options and that terrible word…choice! Scores of advertising options exist, making it difficult to decide, implement, and analyze that all important KPI that the CEO always demands…”return on investment“. When you just advertised on television and sales spiked then you knew what to blame. Now we need to measure the impact of SEO, social media, traditional marketing, mobile and dozens of marketing networks. 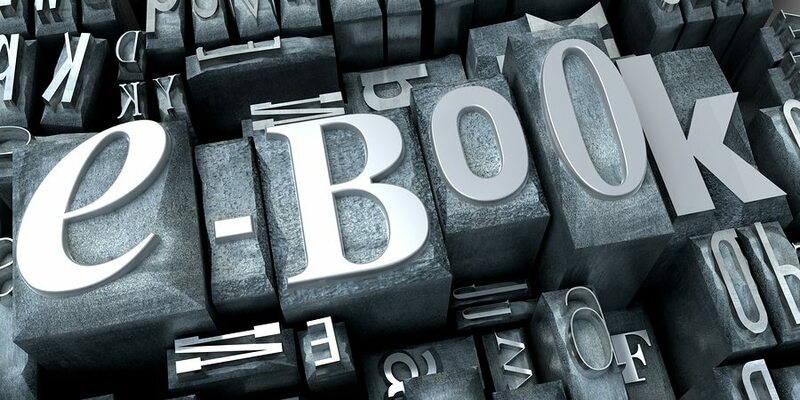 Ebooks have become a marketing option of choice for many businesses. The mention of e-books is catching the attention of many business owners and marketing teams. This can apply to many types of organisations. Here are some tips for researching, writing and publishing your ebook, which can be the cornerstone of your content marketing. Most small business owners think like business people rather than marketers when it comes to disseminating messages to the public. Wanting to sell to the public to ensure the legacy of their business and ability to produce income, owners focus on making money. However, before one makes money you must offer value. Start with considering what variety of information consumers desire and want. For example, first-time homeowners may love to know ways to save money regarding DIY repairs. Aside from purchasing a house, first-time owners are sometimes ignorant to a trove of in-house needs and demands confronting them in the first months to years of ownership. Use social media to directly ask or ‘listen’ to the whims and desires of the people. For example, use the search box on Twitter, leveraging industry specific key terms (‘food’ in this case) with emotional indicators such as ‘love’ or ‘hate.’ In this example, we see a consumer’s dislike of breakfast foods is fueled by a lack of variety. A brand, looking to excite consumers or reverse negative emotions could introduce a variety of foods as a selling point. In addition to social sites, one could use a search engine like Google or Yahoo to generate ideas or ‘listen’ for concerns. Google maintains user data, sometimes suggesting queries to users based on what information is immediately typed. Notice the suggestions of pie, recipes, and lyrics following “I love peanut butter.” A brand related to food, health, kids, etc. could use such information to offer intriguing content within their book, identifying what topics are major and minor, allotting proper space in their book for popular consumer concerns. Traditionally, authors passed pieces along to editors until books were finished, bound, and published to the public. Electronic authors have more freedom; one does not need to complete the entire book before consumers see the first page. Consider elongating the publishing process, writing in parts. Consider writing and releasing (and gathering feedback) the e-book in parts (perhaps a chapter at a time). Since you’re giving the e-book away for free, it won’t affect the reception of the consumer; they’re still getting great information free of charge, but the breaks in publishing give a brand time to gauge the reception and address needed edits. Writing in parts saves a brand time and is more conservative regarding investments. In worst-case scenarios, a complete ‘flop’ does not drain added time and resources from the business. Furthermore, consider getting consumers or industry influencers involved in the review process, possibly including them or providing another favor in exchange for their review and subsequent help with promotion. A number of social tools like Followerwonk (featured below) help identify influencers, people who are largely influential over others and brand advocates. In addition to issuing users an influential ‘score,’ the tool allows for optimization of relationships and analysis of engagement. All advocacy of brand content is essential, yet some people have more influence that is social and subsequent power over others; identifying influential personalities, ensuring they are a part of the feedback and sharing process can greatly accelerate the awareness and reception of your e-book. As an added wrinkle, consider using influencers and others to insert insight, making the e-book more valuable to the public. Outside insight introduces a fresh voice to the e-book in addition to increasing the likelihood that participants will be active in circulating the content once published. In addition to influencers, depending on nature of the content, a brand could feature consumers in e-books as well in question-and-answer or case study portions. Once the content is written, gaining awareness is essential. Consider leveraging not only a business web site but social profile platforms (Facebook, Google Plus, Twitter) and affiliate sites (other sites directly or indirectly associated to your industry) as well. Since people love receiving free items, it should be easier to establish an affiliate relationship with another business or industry personality. Once you’ve identified and began using multiple platforms, measure data points such as search results, click-through rates, and actual conversion rates (people downloading the e-book) associated to the successful marketing of the book. Resources like PosiRank help identify efforts, platforms and relationships that help most. Such analysis helps with the publishing of later chapters as well as in defining optimal methods of future e-book enterprises. Consider publishing the book on your business site. Build a separate site devoted to the e-book and explore options within and outside your industry related to spreading awareness. While you are organizing, creating and writing the e-book, synthesizing such processes with other brand efforts is paramount. For example, during the organizational stage, use the brand Twitter account to ask customers about their needs. Such participation not only helps with formulating something the masses want but aids with promotion and awareness. Furthermore, the entire process introduces conversation regarding e-books within your industry; post about it on the company blog. Also, inclusion of data tables and cover graphics can stir up interest on visually-focused sites like Pinterest and Google Plus. An e-book is a tremendous marketing tool but should not be implemented in isolation. Synthesize all processes along with other advertising efforts, strengthening and enforcing brand messages. Measuring the analytics of the book’s reception helps internal marketing as well as serves an authoring brand with additional tools of insight. Once measured, data can be used to issue a separate e-book that helps brands write their own successfully. In addition, gathering information and understanding if the book was a success helps measure whether subsequent publishing of e-books is a valuable asset to the brand. Those who write guides and schoolbooks write annual editions or reprise old information every few years for a fresh reader perspective. E-books can become great branding tools, helping targeted consumers make associations to specific personalities, services and products. In addition to consumers and influencers, the traditional press needs to get involved in the awareness and (hopefully) dissemination process. Use industry data, provided consumer anecdotes and other parcels of data related to the book to intrigue personalities of the media such as reporters and editors at major newspapers, magazines, web sites, etc. For example, a given e-book may be focused at food and beverage consumers yet features data related to mobile phone use in acquiring those needs, content a reporter of a major newspaper may find interesting for a related or upcoming story. Additionally, doing a bit of homework, seeing what media hubs and personalities have done related stories, could expedite the process. Sites like HARO (Help a Reporter Out) offer free email subscriptions, giving descriptions of reporter queries and related stories. 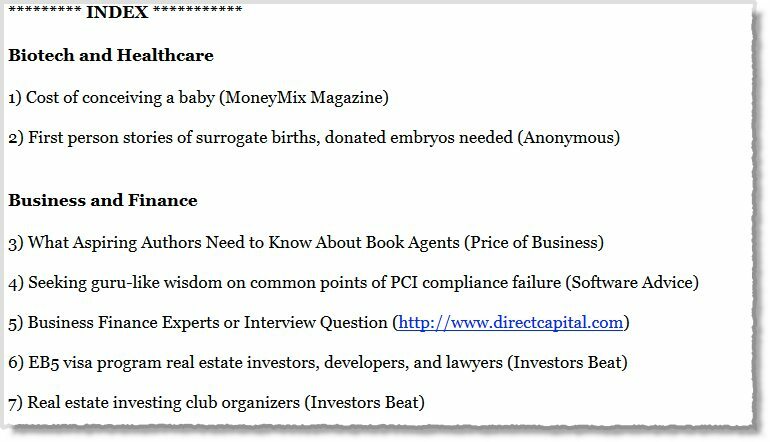 An e-book marketer may easily identify media sources and reporters covering directly related and ancillary stories. Each brand’s trajectory may differ from previously successful publishing efforts or those modified due to time, season and related products. Look for windows of opportunity regarding pop-culture stories, reporters covering related topics, influencer interaction, and consumer-centered content. E-books, especially free copies, are surefire ways to gain awareness and subsequent sales regarding brand assets, but associated marketers and in-house participants must attend to each process, and how it works seamlessly with other efforts, for optimal results. Guest author: Andrew Johnson’s career spans decades. When not pushing modern marketing strategies to the limit, he greatly enjoys blogging about smart marketing choices for today’s consumers.